Our Traditional Masala Chai with rich organic cacao nibs and essence of New York Cheesecake. 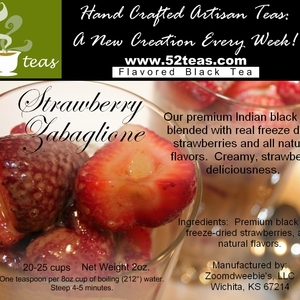 Ingredients: Premium Assam Teas, Cardamom, Cinnamon, Ginger, Organic Cacao Nibs, Natural and/or Artificial Flavorings. Okay…so…both Anne and I have reviewed this tea, briefly, over at Steepster and I thought I would post my official review today here at SororiTEA Sisters because I had a cup yesterday and two cups so far today and seemed to be craving this more and more lately. Let me start off by saying…I LOVE CHEESECAKE. I’m not much of a dessert person, overall, but I do LOVE Cheesecake! And I like chocolate, sure, but I can’t say I must have chocolate everyday like some people do. On the other hand I HAVE been searching for good, solid, true Chocolaty tasting teas and I must say – this is one of them! I also must put on the table – this statement – I prefer this DECAF Version of this than the regular offering by 52 Teas. I am pointing this out for several reasons! One…I don’t think I have ever enjoyed a Decaf version better than the regular version. Sometimes I feel they are pretty “even-steven” but rarely – if ever – do I find them MUCH better tasting – if you know what I mean!? Another reason is the difference in actual taste between the two versions and how noticeable the tastes are. 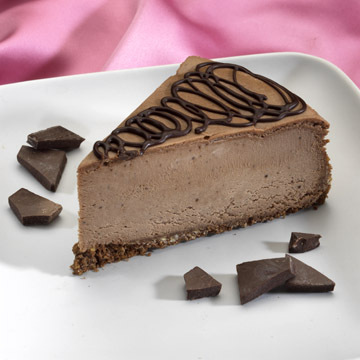 And third – those taste differences being – mainly – the taste of the chocolate and the taste of the cheesecake-likeness! Prior to infusion this smells just like a Chocolate Cheesecake WOULD or SHOULD. The taste is not as spicy – which I like for a chocolate cheesecake type. After spending some time with this tea I found by doubling the amount – but not the infusion length (per say) – I could taste both the chocolate and the cheesecake flavors MORE and I prefer it that way, actually. The Chocolate Flavors are sweet and sugary and milky. The Cheesecake is fairly cheesecake-like and almost frothy-tasting…creamy! The chai spices are present but more in the background. I will say that if you are specifically looking for those chai spices – try a 2nd infusion on this one! I did and it wasn’t bad at all! This is not only a tea – but a piece of ART. I LOVE it! I found this to be very VERY nice! It’s very creamy and a lovely Strawberry taste without being tart or fake tasting! There is a a bit of fruit, a bit of wine, and lots of cream! Ahhhhhh! My second go-around was just as pleasing! Yes, the strawberry is still there and is juicy and plump in flavor but this time around I picked up more on the wine-likeness and it was a beautiful thing! And the cream was perfect and more towards the end of the sip! Truly unique! All good things must come to an end – and so has this tea in my stash. I’m officially putting this one on my re-order list because it’s a goodie!!! 52Teas is one of my favorite tea companies. Why? Well, there are several reasons. They offer a new flavor every week, and these flavors are usually just a little bit out of the ordinary. And, perhaps most importantly for me, they offer these new and unusual teas in a quantity that I can feel comfortable about buying – 1 or 2 ounce pouches, depending upon the type of tea, and they are easy to store and are re-sealable. This is the perfect amount of tea for this tea reviewer because it’s not a huge commitment, but it is just enough to taste the tea several times to determine whether I like it enough to sit down and write about it, and it’s also enough to share some with my SororiTEA Sister, Jennifer. All of these reasons really wouldn’t add up to much, though, if the teas didn’t taste good. And I must say, while I have tasted quite a few of 52Teas offerings, I’ve yet to try one that disappoints me – and more often than not, I am very pleasantly surprised by them. This is one tea that really surprised me. 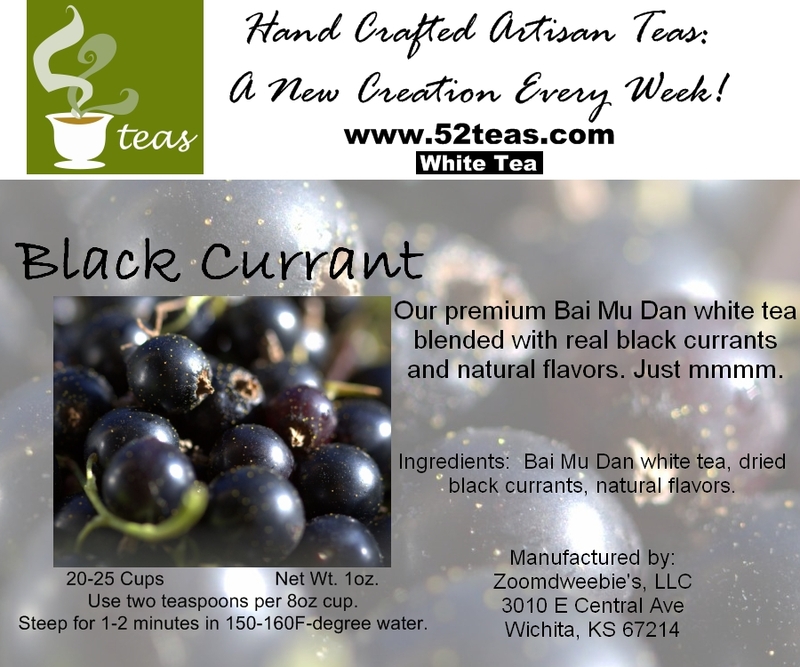 I held off buying it for a while because I’ve never really considered myself to be much of a fan of black currants (although, I don’t know why, as I love black currants in tea cakes and most of the black currant teas that I’ve tasted have been delicious). I am glad that I finally gave in to my curiosity and tried it, because it is really quite good. 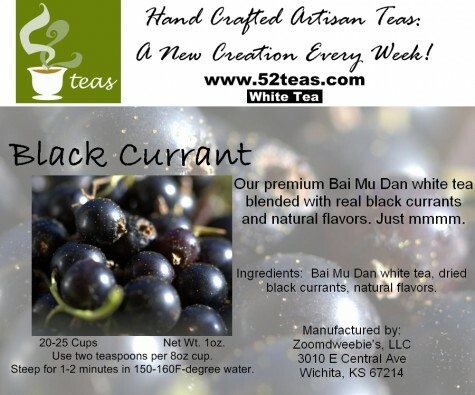 The fruit flavor is vibrant and yet it does not overpower the delicate flavor of the Bai Mu Dan. It is sweet and refreshing – especially when served chilled. 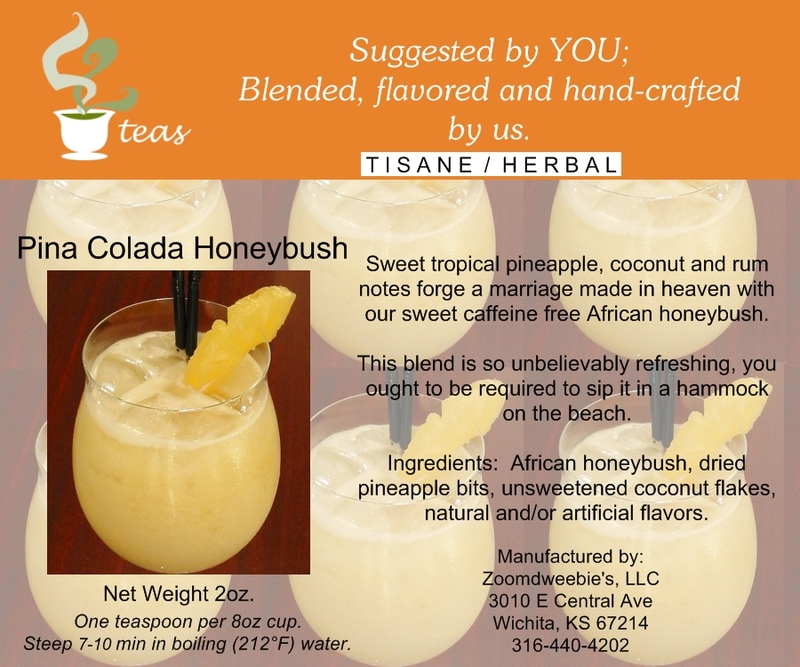 This is one of my newest favorite iced teas! It is much tastier than any of those RTD bottled teas out there – and the best part is that because you brew it yourself, you can control the amount of sweetener you add to it, or you can choose to not sweeten it at all! I do add just a little bit of agave nectar to mine, because this really brings the fruity flavors into focus plus I can taste some of the sweet, delicate notes of the white tea just a little better. Another outstanding tea from 52Teas! Mmm… imagine… enjoying coconut cream pie for breakfast! This morning, that’s just what I did! I have been eager to try this tea. 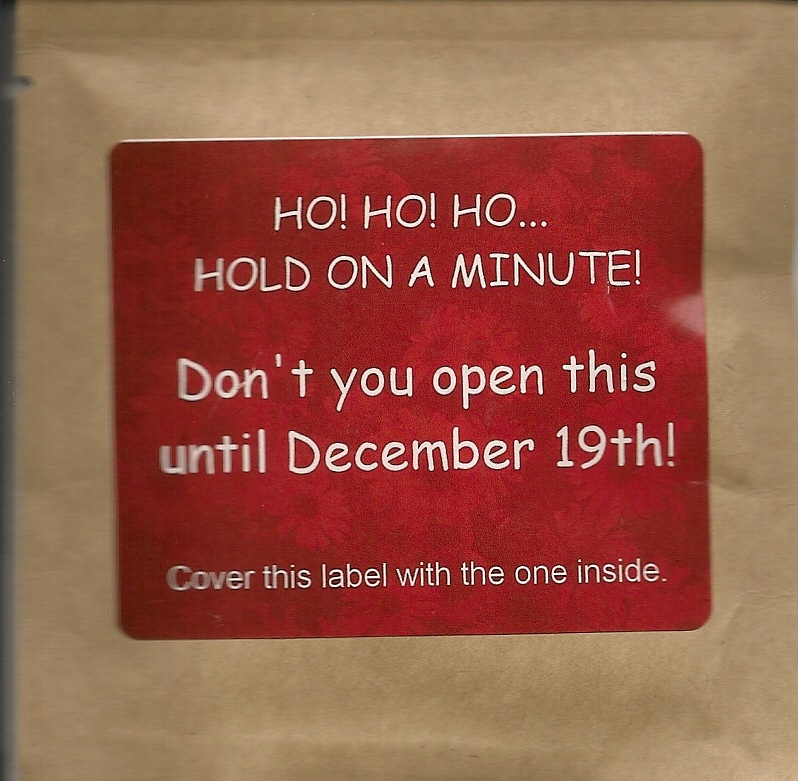 I am a member of an online tea-tasting community and some of the other members have raved about this tea, so, with one of my most recent orders to Zoomdweebies (aka 52Teas) I made sure to order this tea. I was fairly confident I’d enjoy it. I love coconut – and especially coconut cream pie! – and I usually do like the tea from 52Teas/Zoomdweebies. They are as talented as they are creative when it comes to flavoring tea! Upon opening the package, I was greeted with huge coconut flakes. LOTS of them! With each teaspoon of tea, there are at least two or three pieces of coconut on the spoon – and from the looks of it, this tea has coconut-o-plenty all the way to the bottom of the pouch! The aroma of the dry leaf is a very strong coconut scent, with a pleasing note of vanilla. The brewed liquor has a softer fragrance, but it is still clearly coconut with hints of vanilla. It smells delicious! And it IS delicious! 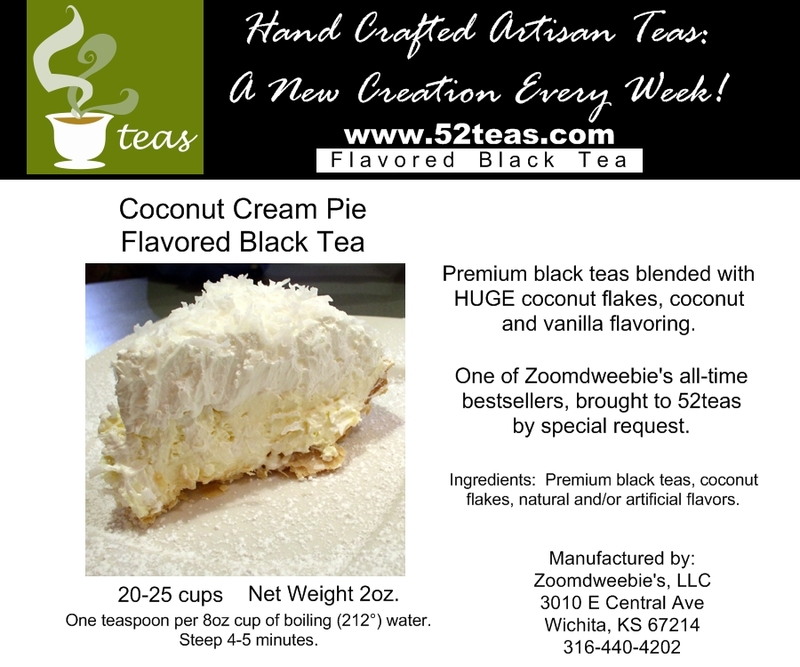 The medium-bodied black tea base is smooth and non-intrusive to the coconut and vanilla flavors. There is no bitterness and very little astringency to the tea – it is just a brisk, flavorful black tea. The coconut and vanilla combination is sweet and tasty. I would say that it is a bit like drinking a slice of coconut cream pie, but, since I’m currently enjoying this tea hot, I am going to say instead that it’s a bit like eating a warm bowl of coconut pudding. It tastes so smooth, creamy, and decadent, it is truly dessert in a teacup. I’m currently drinking this tea hot, with just a sprinkling of raw sugar to bring out some of the more delicate flavors of coconut and cream – but this tea is quite sweet without the sugar, so I recommend tasting it before you sweeten it so you don’t overdo it. A splash of milk or cream will enhance the creaminess of this tea.